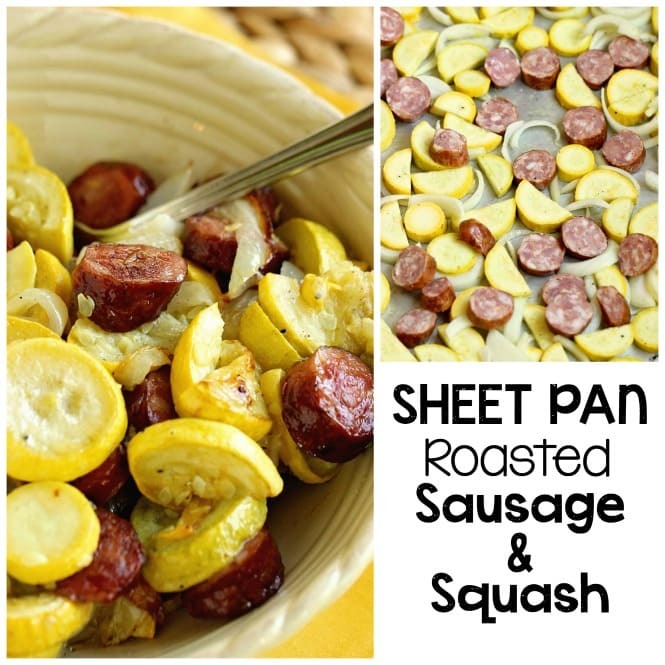 Sheet Pan Roasted Sausage and Squash – A quick and easy recipe with only a few ingredients. 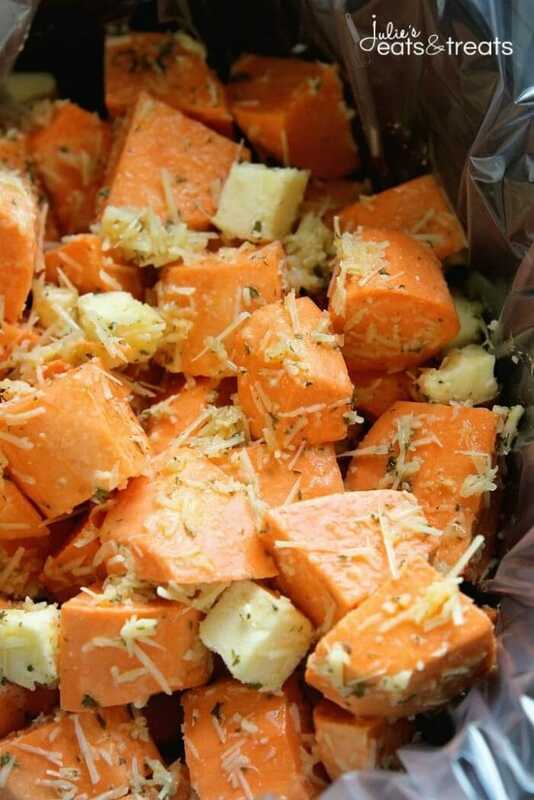 It’s perfect as a main dish or a side dish recipe. 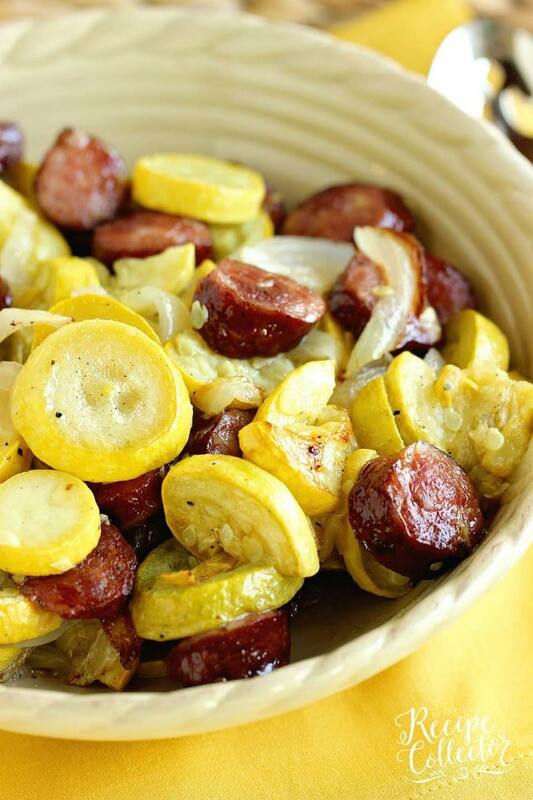 I’ve been so excited to share this recipe for Sheet Pan Roasted Sausage & Squash! I’ve had it on my list for a while now, and couldn’t wait to get back to post it. I took a little break from blogging over this last week. Some friends and I went away to the beach for a fun girls’ trip. I’ve never done that before because I’ve always had little ones, but I figured it was about time I go. And boy did I have so much fun!! We hung out on the beach reading and listening to music and the waves. It was so relaxing!!! It’s also nice to take a break from mom-mode. I found myself wondering why I had never done this before. It was definitely nice to recharge our batteries! We all did a lot of reading too! It is safe to say that all the Liane Moriarty books were the most popular beach reads for sure! We were super excited when we found out they are making a movie with The Husband’s Secret! It is, however, nice to be home again and sharing recipes. 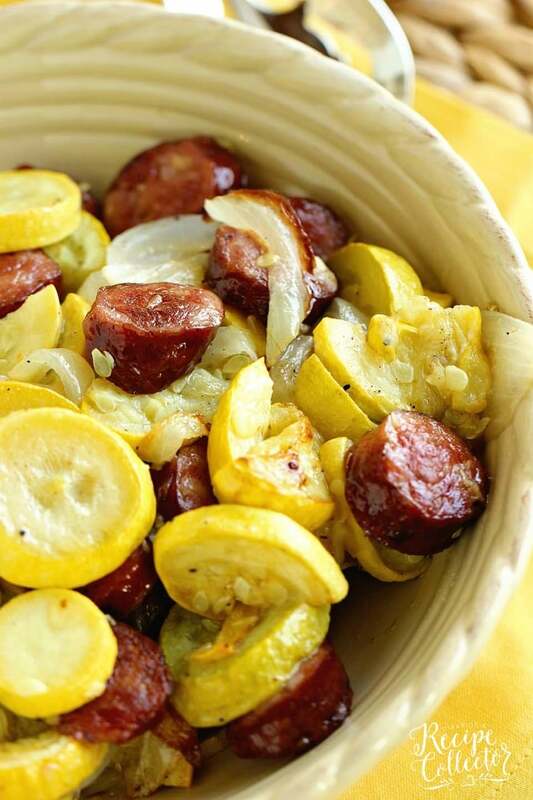 This Sheet Pan Roasted Sausage & Squash recipe can’t get any easier. 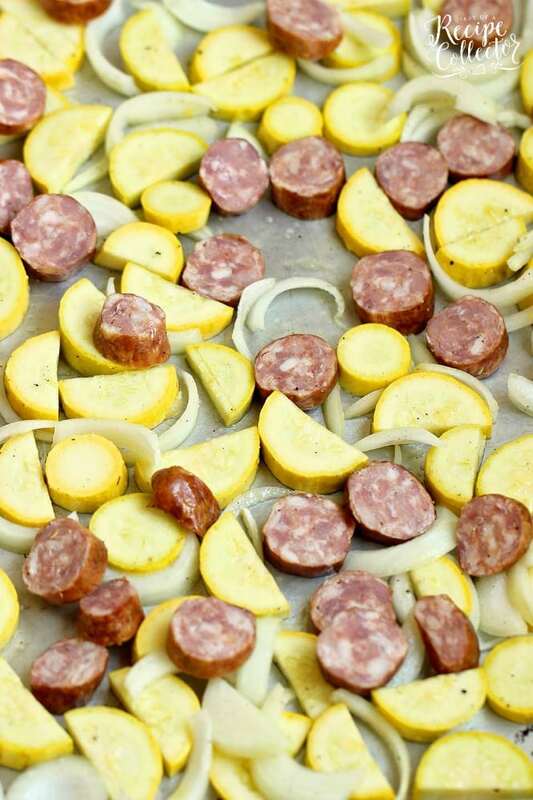 We ate it as a side dish, but with the sausage, it can be a stand-alone dish. I love that it is easy and only a few ingredients. Those are definitely the best recipes! Hope you enjoy! Slice squash into half moons about ¼ inch thick. Slice onion. 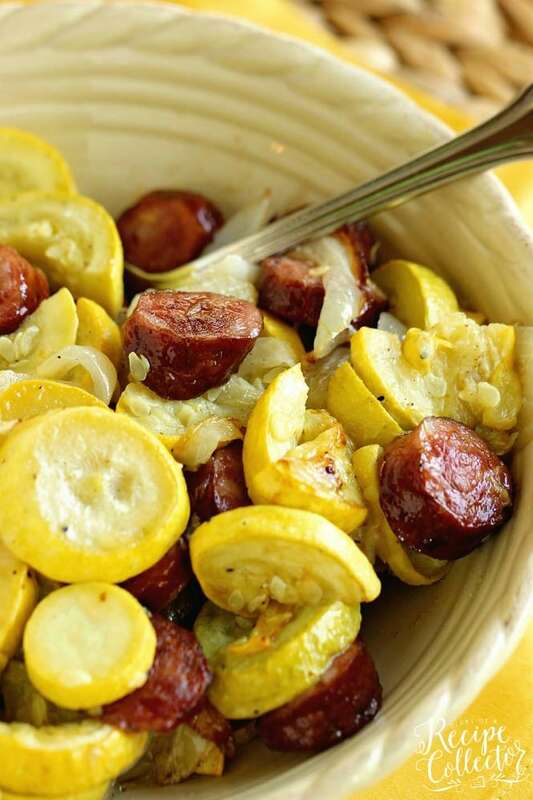 Place squash and onion in a large bowl. Add 1 tsp salt and ½ tsp black pepper and olive oil. 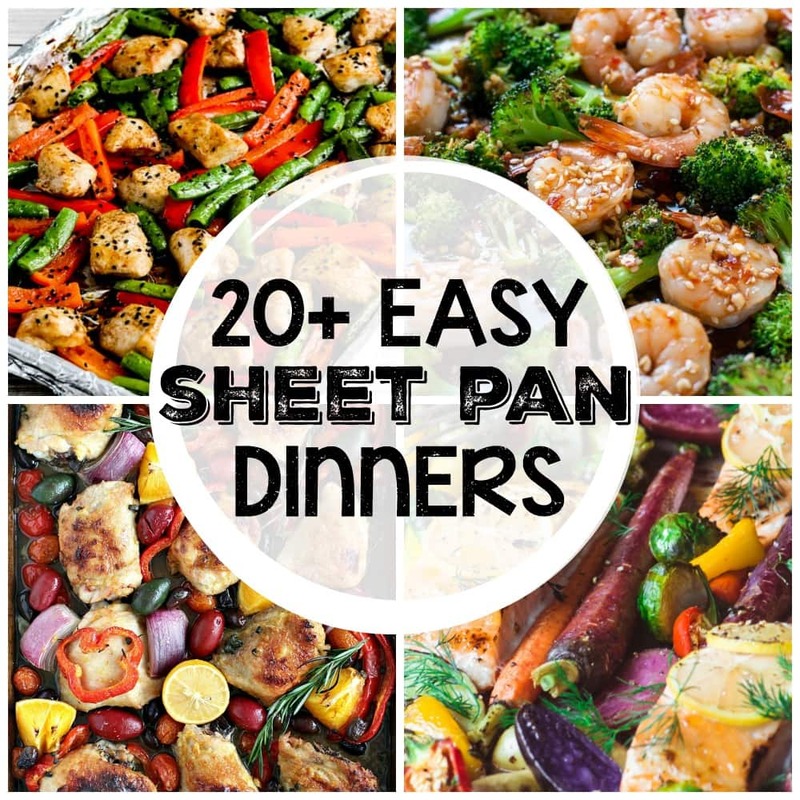 Toss to coat evenly and place on a sheet pan. 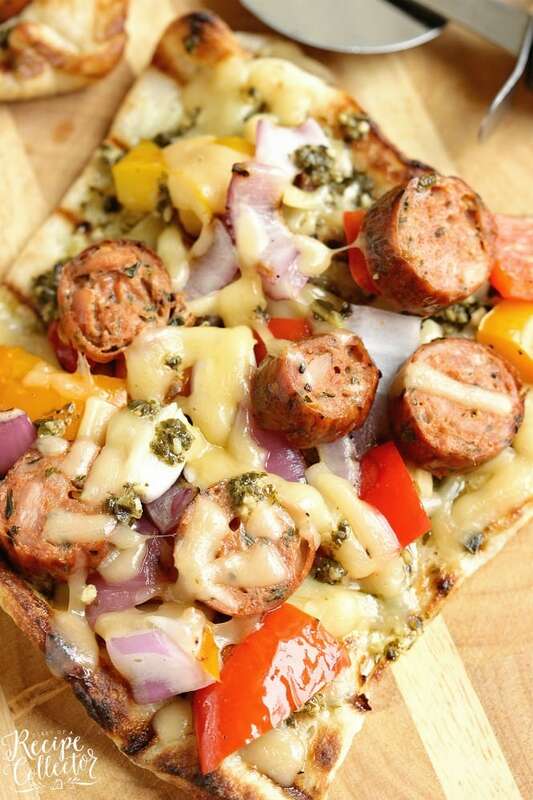 Add sliced sausage to sheet pan. Roast for about 25 to 30 minutes or until sausage is browned and vegetables are tender.